le chaudron de vulcain – July 09 , 2018. EN. Chile : Copahue , Ecuador / Galapagos : Sierra Negra , Hawai : Kilauea , Ecuador : Reventador . Home / blog georges Vitton / July 09 , 2018. EN. Chile : Copahue , Ecuador / Galapagos : Sierra Negra , Hawai : Kilauea , Ecuador : Reventador . During this period, forty-seven (47) seismic events classified as volcano-tectonic (VT) were recorded, associated with fracturing processes of rigid materials. The event with the highest energy showed a local magnitude (ML) equal to 2.3 and was located 6.3 km east of the active crater El Agrio, less than 0.5 km deep. Similarly, 92 earthquakes associated with fluid dynamics within the volcanic edifice were recorded as long-period (LP) events, with reduced displacement values (DRc) of 2.2 cm2. Finally, 32 earthquakes of very long period type (VLP) were recorded, with reduced displacement values (DRc) of maximum 6 cm2. The IP cameras installed in the vicinity of the volcano recorded a constant degassing of the active crater (El Agrio) with a maximum height of 300 m, whitish color and incandescence (June 30) during the night, when the climatological conditions allowed to observe the volcano. . According to the analysis of the data obtained from five (05) GNSS geodetic monitoring stations, the surface displacements of the volcanic building during the evaluated period are observed, as can be observed in the monitoring lines that cross the active crater. Vertical rates have a maximum of 0.25 cm / month, so it is concluded that there is no evidence of a significant deformation process associated with volcano activity. Sulfur Dioxide (SO2) emissions, recorded by Differential Absorption Spectrometry Equipment (DOAS), corresponding to Mellizas Station, located 5 km east-northeast of the active crater had a value for the period of 1696 +/- 233 T / day, and maximum values ​​of 4983 T / day reported on June 21st. No thermal warnings were reported in the area associated with the volcanic building, based on data processed by the MIARVA (http://www.mirovaweb.it/) and by a thermal monitoring in near real time. global hot spots (MODVOLC) (http://modis.higp.hawaii.edu/). The process of interaction between the surface hydrothermal system and magmatic contributions from deep layers continues, which is evidenced by the presence of incandescence observable at night. In this activity setting, minor phreatic explosions may occur. On the other hand, if the magmatic system reaches more superficial levels, the activity could evolve into continuous ash emissions or Strombolian activity as recorded in previous years. Observation: Dangerous area is considered to be the vicinity of the crater with a radius of 1 kilometer. The Sierra Negra volcano, located south of Isabela Island, 24 km from Puerto Villamil, is one of the most active volcanoes in the Galapagos. He has presented 7 eruptions over the past 70 years. On June 26 of this year, the Sierra Negra volcano began its most recent eruptive period. This reactivation was preceded by a sharp increase in seismic signals in the number of earthquakes and their magnitude (13 earthquakes with magnitudes equal to 4.0 between 1 January and 22 June). It has also been observed a continuous raising of the caldera floor measured through high resolution GPS receivers and the analysis of satellite images. On June 26 at 3:15 am Galapagos time (TG) an event of amplitude from 5.3 to 10 hours before the beginning of the eruptive activity was recorded. This activity was characterized by the emission of lava flows through cracks in the northern edge of the caldera and on the northwest flank of the volcano. The lava flows descended mainly on the northern flank of the volcano towards Elizabeth Bay and with smaller volumes inside the caldera. 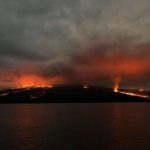 On July 1, a new episode of tremor that was followed by lava emissions in the Northwest flank, according to reports from staff of the Galapagos National Park in Isabela, was recorded. 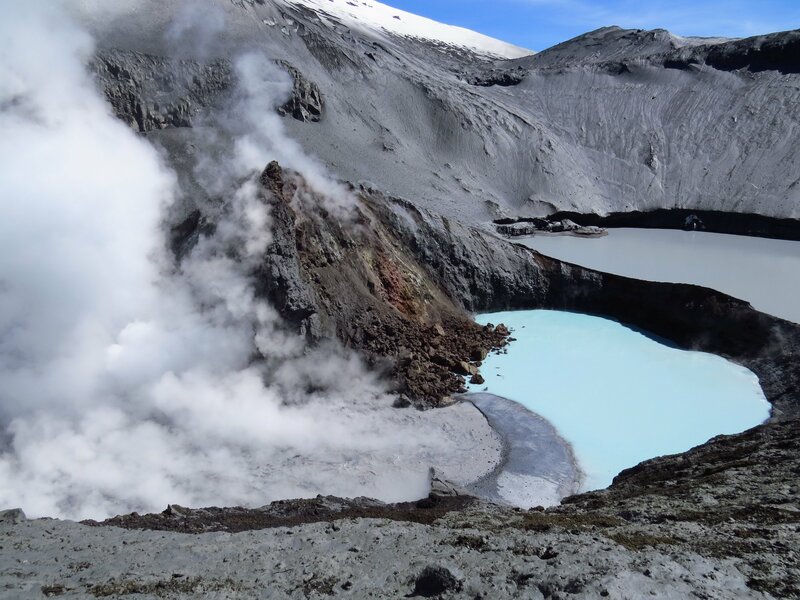 The two beginnings of volcanic reactivation and the state of eruptive activity of the volcano have been reported by the Geophysical Institute in three special reports in 2017 and twelve special reports in 2018. The clearest indication of a new magmatic intrusion was the magnitude 5.2 earthquake at 4:30 pm (GMT) on July 4th. After this earthquake, there were 68 earthquakes under the Sierra Negra volcano with amplitudes ranging from M1.1 to M3.9. 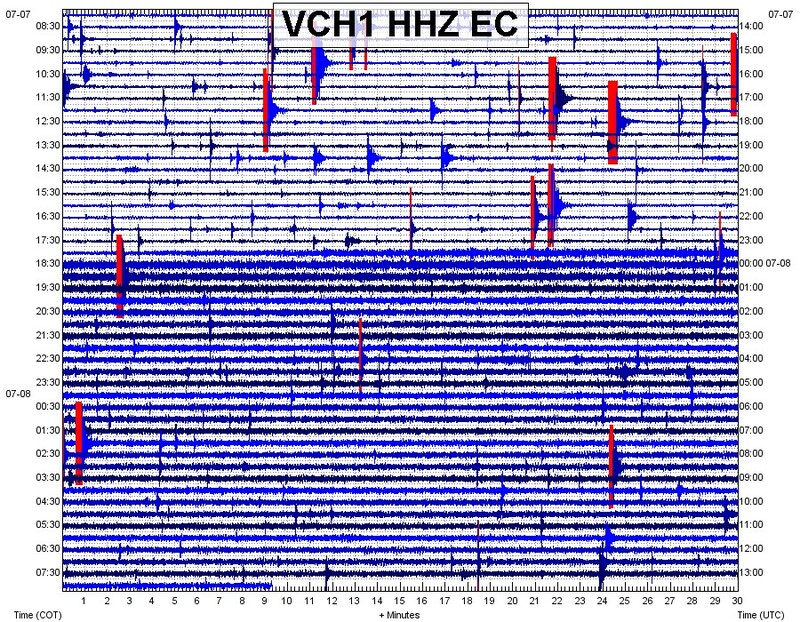 Today, at 17:00 TG (Ecuador time -1 h), the appearance of a seismic jolt was seen in the VCH1 station, located on the northeast edge of Sierra Negra volcano. On the other hand, an infrared image of the GOES16 satellite shows an increase in the intensity of the hot spot on the northwest side of the volcano, which had decreased in the previous days (Figure 1). This increase is observed from 17:00 TG today, and persists until now (20:00 TGi). It is possible that this observation is associated with a new lava outlet. These anomalies suggest a continuation of the eruptive process on the Sierra Negra volcano, with a new impulse of lava emission with a source on the northwest flank of the volcano. 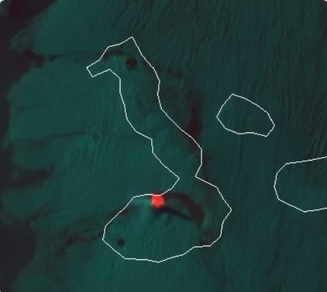 Figure 1.- GOES hot spot on the northwest flank of Sierra volcano at 17:00 Galapagos time. On the other hand, also in the satellite images, there is a weak column of steam / ash from said point towards the West. 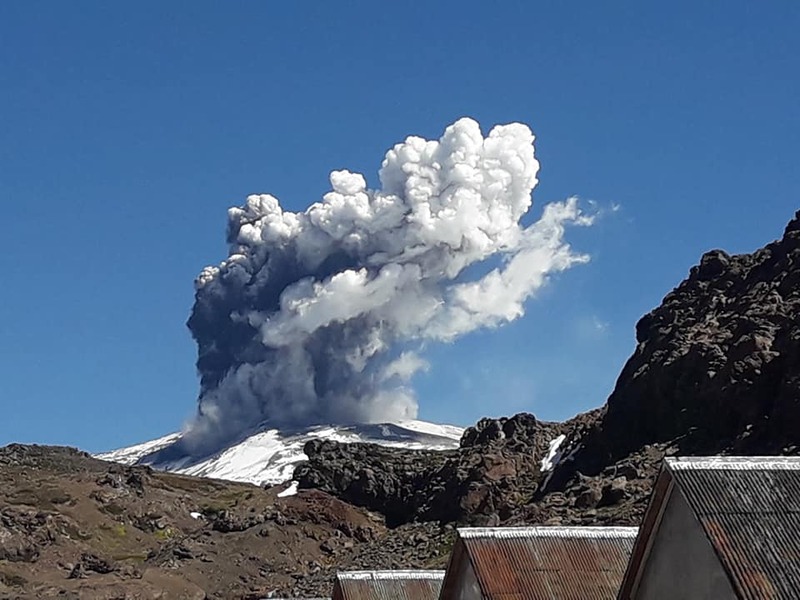 The Washington Volcanic Warning Center (VAAC) observed a cloud of ash up to 3,000 m in the southwest direction and another cloud with a slightly higher height (3,300 m) in the west. 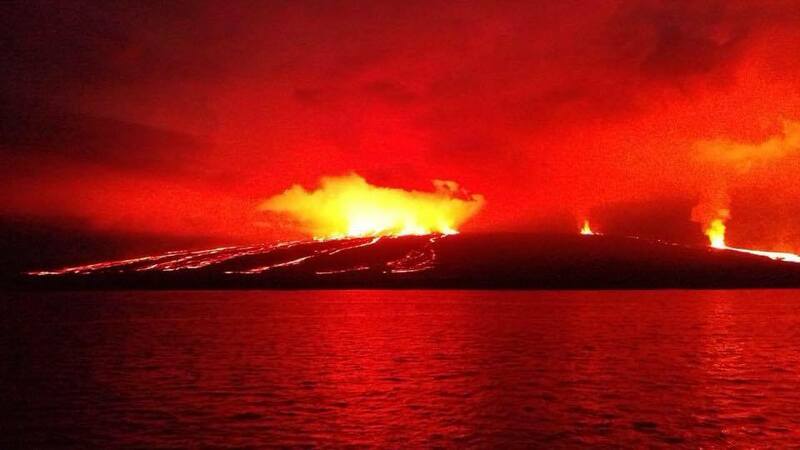 In addition, the guards of the Isabela Galápagos Islands National Park carried out an inspection of the northern area of ​​the volcano tonight and confirmed the presence of strong noise emission and incandescence in the area near the beach. The appearance of seismic tremors and the presence of thermal anomalies in the satellite images suggest the beginning of a new eruptive impulse, located on the northwest flank of the Sierra Negra volcano from 17h today, 7 July 2018. This has been confirmed by the reports of officials of the Galapagos National Park. It is not recommended to approach the area of ​​activity. In the case of an ash fall or volcanic ash area, it is recommended that appropriate precautions be taken. The IG-EPN maintains its vigilance and will report any significant change in volcanic activity. Seismogram of the VCH1 station that shows the tremor signal since 5:00 pm GMT yesterday, July 7 (6:00 pm Continental time of Ecuador in the time scale next to the left margin), until 7:30 today 8 July . The seismic tremor recorded in the VCH1 station from 17:00 GMT yesterday, continues until now (12:00 GMT) although showing a gradual decrease in its amplitude (energy levels), as seen in Figure 1. This tremor is not recorded in the other stations of the Galapagos seismic monitoring network of the Institute of Geophysics, suggesting that the signal source is superficial. The Volcanic Ash Warning Center (Washington-VAAC) reported a cloud of steam and ash about 2000 m above the volcano. This column is directed to the southeast of the volcano, without affecting the inhabited area of ​​Isabela Island. The infrared image of the GOES16 satellite shows an increase in the intensity of the hot spot on the northwest flank of the volcano, which had decreased in the previous days (Figure 1). This increase was observed from 17:00 TG yesterday, and persists until now (10:00 TG), so it is deduced that the lava emission continues. The persistence of seismic tremor and the presence of ash and satellites captured by thermal anomalies indicate the continuity of the process of eruptive Sierra Negra volcano. 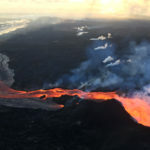 The eruptive activity now consists of an emission of lava flows from a source located in the lower part of the northwest flank of the volcano. According to seismic data from the Geophysical Institute, this lava emission increased significantly at 17:00 yesterday (7 July). 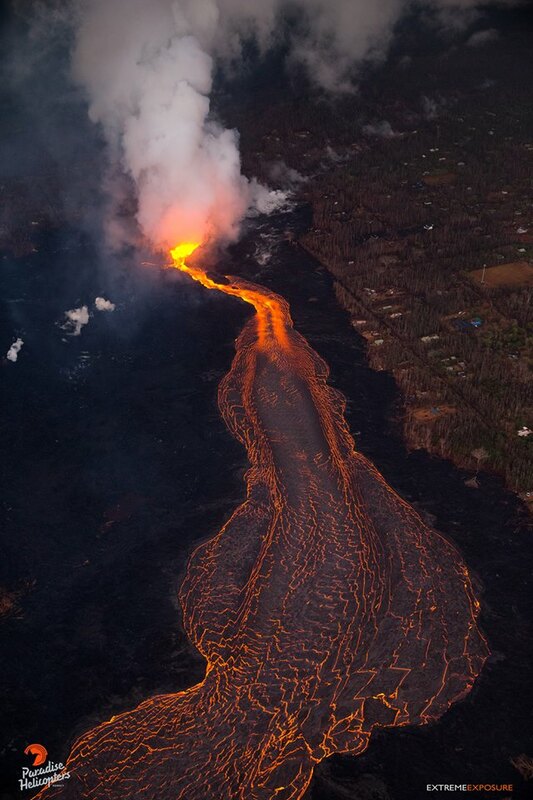 As eruptive activity persists, it is recommended not to approach the sources of emission of lava, or be located in the lower parts of these or near possible sites of arrival lava to the ocean. 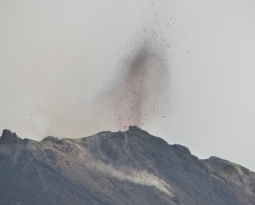 In the event of a change in wind direction, slight ash falls may occur in the inhabited parts of the volcano. The Institute of Geophysics will continue with careful monitoring of this volcano. Lava continues to enter the ocean, however, from multiple points along the entire ocean entry area, primarily along the northern section. In addition, multiple ooze-outs fed flows on the north and the southwest edge of the main ‘a’ā flow field but neither had lava actively entering the ocean. Fissure 22 was weakly spattering overnight. Un autre événement d’effondrement-explosion au sommet de Kīlauea s’est produit à 8h55 HST le 8 juillet avec l’énergie équivalente d’un séisme de magnitude 5,4. La sismicité a chuté brusquement par la suite et reste faible à ce moment. L’activité sismique devrait augmenter au cours des prochaines heures et culminer dans une autre explosion d’effondrement lundi. L’effondrement vers l’intérieur de la jante et des murs de Halema’uma’u continue en réponse à l’affaissement continu du sommet. As the magma in the shallow reservoir below the summit flows into the East Rift zone, the soil above it crumbles, cracks and lowers. 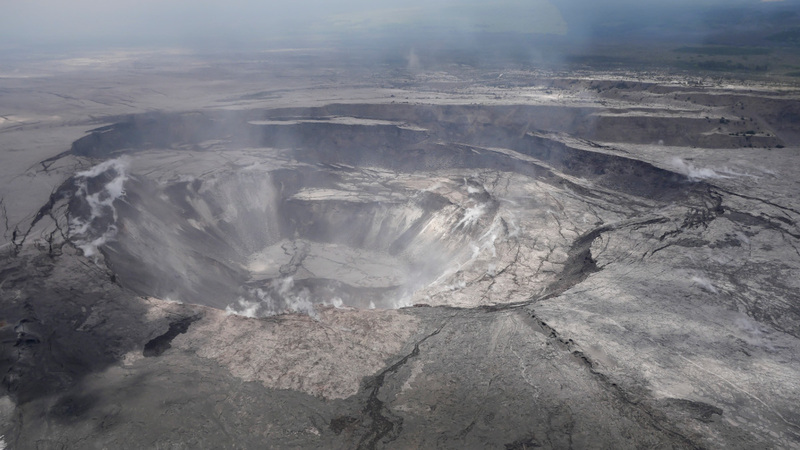 The Halema’uma’u crater dropped about 400 m (1300 ft) between early May and late June. Inward collapse of the surrounding Kilauea crater bottom doubled the diameter of the Halema’uma’u crater. The large flat block visible inside the Halema’uma’u is a piece of the bottom of the crater dropped in free fall. The view is oriented towards the Southwest. Hawaiian Volcanoes Observatory reports a collapse/explosive event with energy equal to a 5.4 magnitude earthquake has occurred at Halema‘uma‘u Crater at 2:55 a.m. The Pacific Tsunami Warning Center reports there is no tsunami threat to the Island of Hawai‘i. Un événement sismique s’est produit près du sommet du volcan KĪLAUEA. L’ÉVÉNEMENT EST PROBABLEMENT ASSOCIÉ À UNE ERUPTION DE SOMMET. Source : HVO , Big Island video news. Photo : Bruce Omori , USGS , 18 juin 2018, Kyle Anderson. 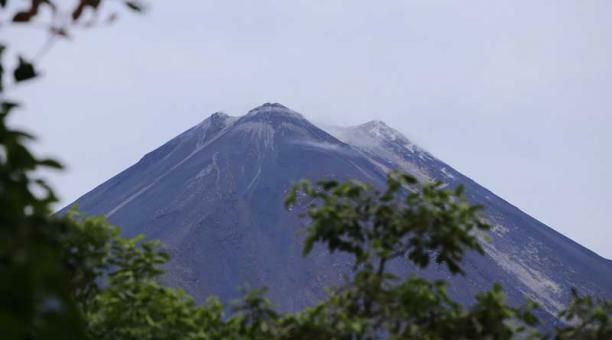 The Institute of Geophysics (IG) of the National Polytechnic School announced Tuesday (July 8, 2018) that the eruptive activity remains « high » on the volcano Reventador. 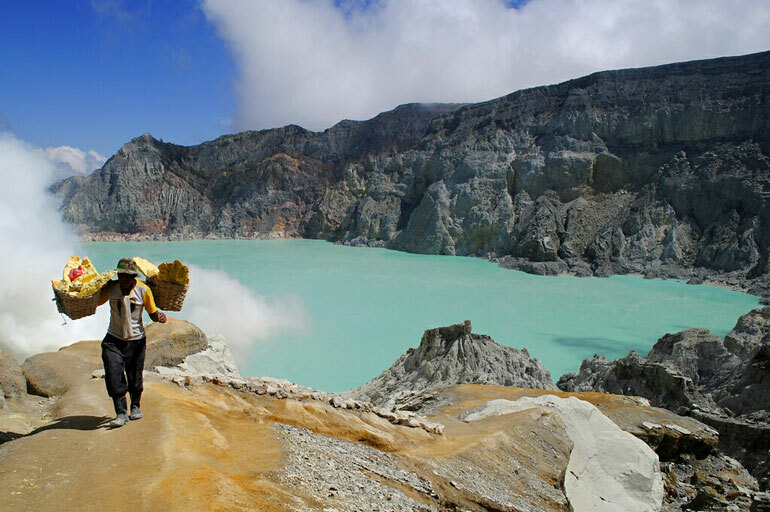 From its crater, blocks rolled in the last hours from all sides up to 800 meters under the summit. 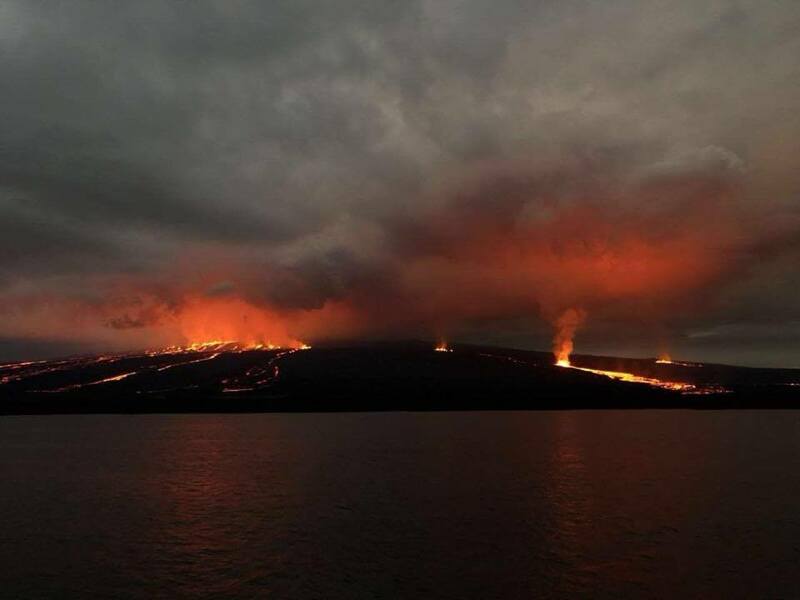 The IG said that during the past few hours, the volcano remained partially clear and that during the night, an incandescence was observed in the crater, accompanied by the presence of blocks. 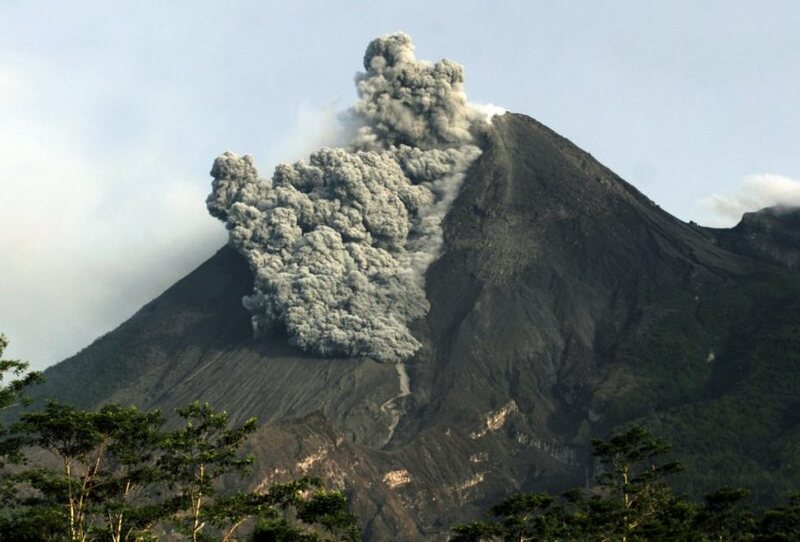 On July 2, the GI reported the ash fall of the Reventador volcano. in the provinces of Pichincha (Andes) and Napo (Amazonia) In November 2002, an eruption of the Reventador raised a large cloud of ashes which, because of the winds, went as far as Quito and covered several parts of the capital. The Reventador volcano is located about 90 kilometers east of Quito, on a spur of the eastern branch of the Andean mountain range that gets lost with the beginning of the Amazon basin. 3,560 meters high, this volcano began its eruptive process in 2002 and was characterized by explosions, emissions of gas and ash, lava flows and lahars. High eruptive activity is maintained. The volcano remained partially cleared, during the night the crater was incandescent, accompanied by rolling blocks on all sides at 800 meters below the summit. 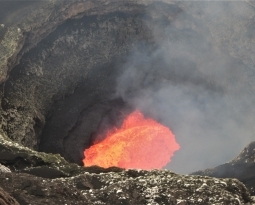 The Institute of Geophysics of the Ecole Polytechnique is attentive to the activity of the volcano and will inform any changes that may occur.